Below is a great blog post by Jeff Geoghan a Pennsylvania real estate professional. It is well written and honest and well worth reading.. This is one of those posts where I wish I didn't have to write it, but felt it was so important to my readers that I would be remiss not to at least talk about it. Everyone out there probably knows somebody who is behind on their mortgage payments, looking for alternatives and likely also just finding out that their home's value has dipped below what their loan amount is. I know some within my own personal circles. It's a tough situation for me to advise them as a professional because it's such a personal challenge to their pride and self-worth, not to mention their plans an dreams for the family. The question we're asking is "when is this going to stop and where are we heading?" 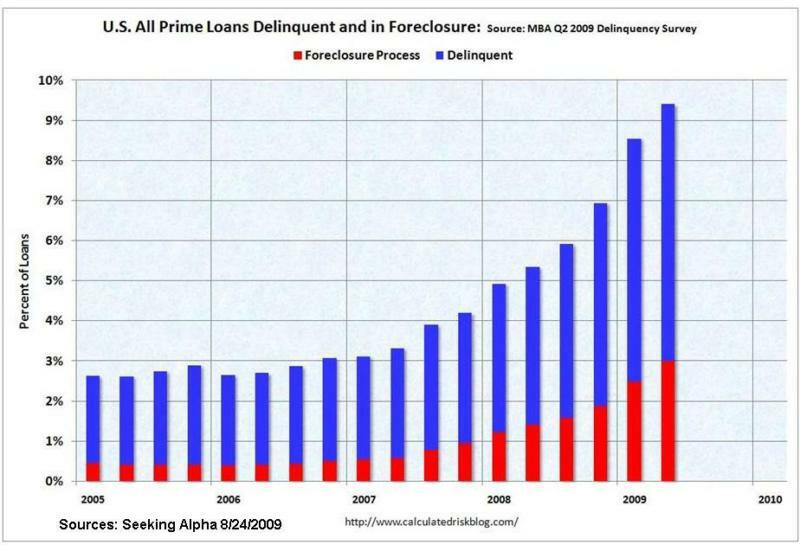 This chart is by quarter - Single-family mortgages set a new record delinquency rate in the second quarter of 2009, according to a quarterly survey by the Mortgage Bankers Association. 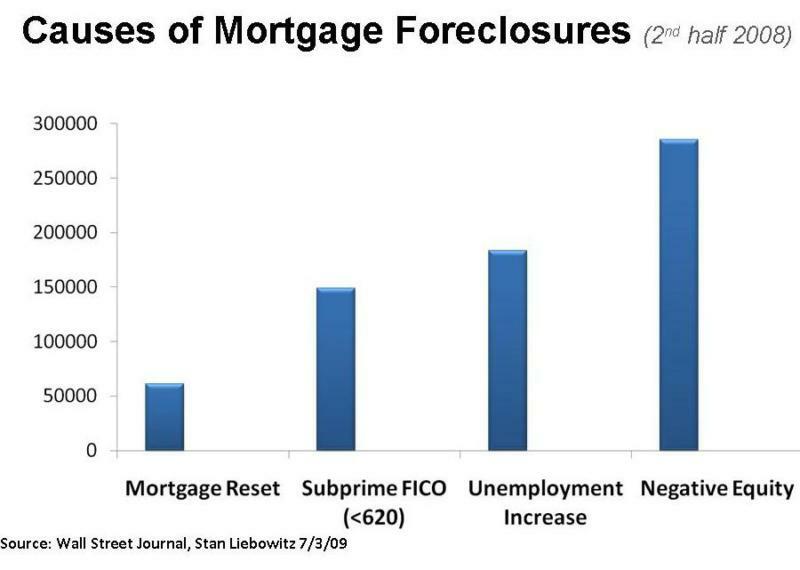 Those of us in the real estate business see the foreclosure process (just visit the local Sheriff Sale docket to see the current numbers) but the looming delinqency-to-foreclosure issue is far, far larger. The next thing someone will say is "well, that's the 'sand states' and not my area". 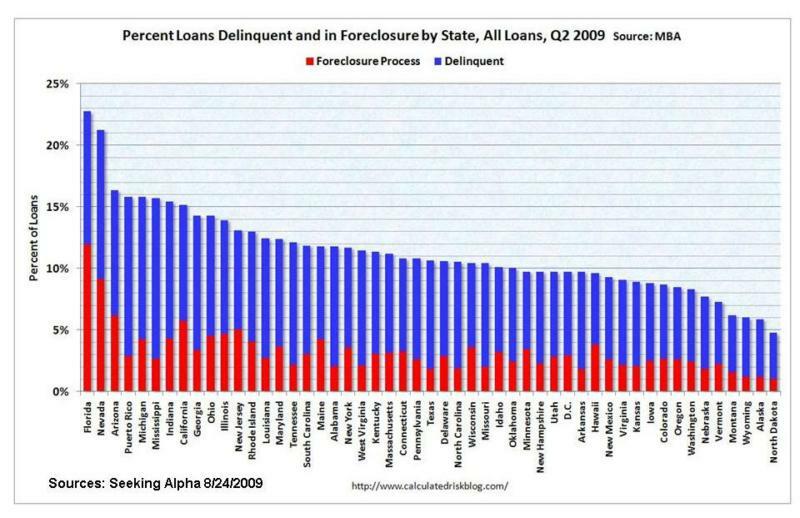 Here's the chart for all 50 states showing the same breakdown of delinquencies and foreclosures. Guess what - most states have a significant problem, especially compared to historical figures. 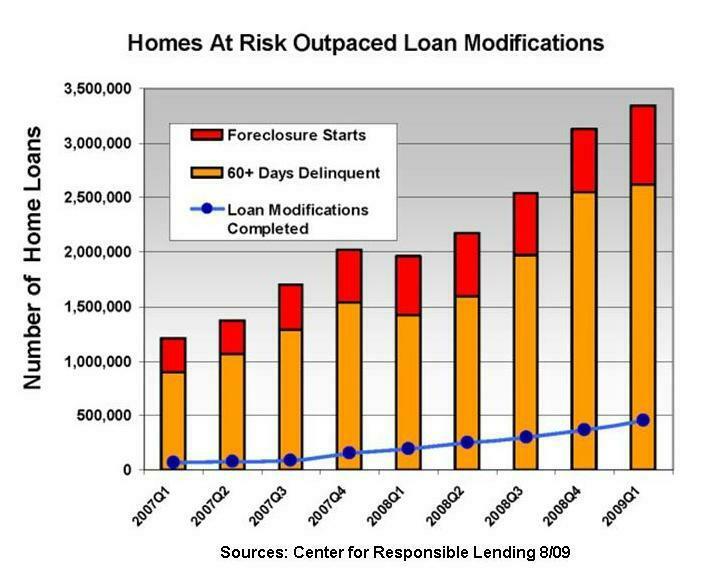 In reality, loan modifications are hardly making a dent. To me, that's a burning question. Why arent banks being more aggressive in giving customers the option to extend their loan and/or reset to a lower rate? Why are they being SO difficult? The people I know don't want to be foreclosed. They CAN make payments. They just need the terms redrawn to allow them to catch & keep up. Loan modifications are not helping us get this crisis under control. We hear a lot about adjustable rate mortgages being the culprit, but the reality is that it's the loss of jobs and the tanking real estate market that's the perfect storm. See my previous post on unemployment in the nation, the state and Lancaster County. Keep in mind, this post is not intended to give us "good news". You may be experiencing good things in your market and that's great. My intent is to get us thinking about the challenges that aren't going away and how we're going to address them as homeowners, agents and professionals. I'd love to hear your ideas!